It was June and I had a couple days off of work in the middle of the week so I decided I wanted to go on a trip. 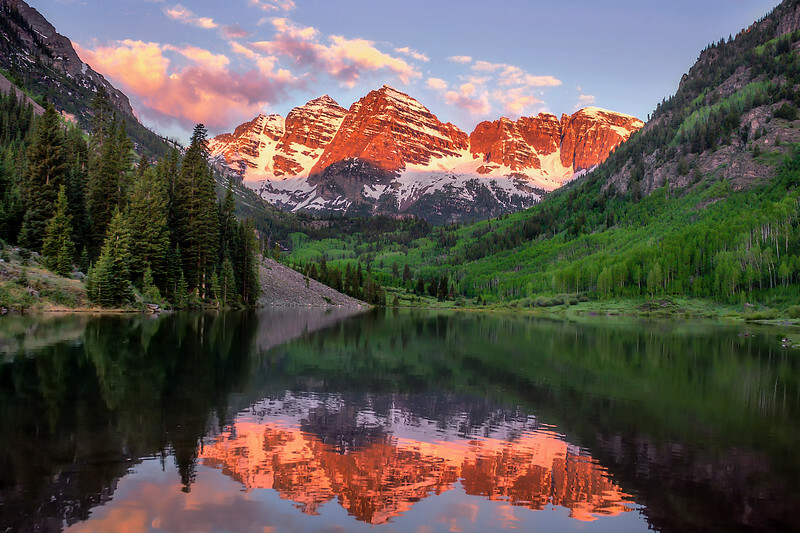 I had visited Aspen and the Maroon Bells once before with my roommate, Michael. 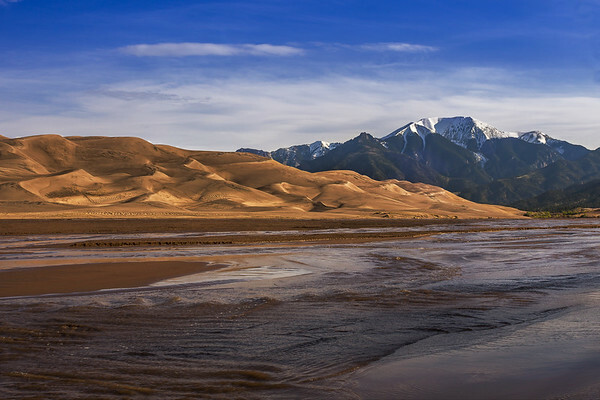 Besides being one of the most photographed spots in the whole world, It is also one of my favorite places in the world. The first time I visited the Bells, I was stunned. It was one the most beautiful views I had ever seen and I believe it really kick started my love for nature and the outdoors. I had visited them the previous fall during peak fall colors and went on a grueling hike up the mountains that led to the most beautiful views of the golden aspens that seemed unreal. 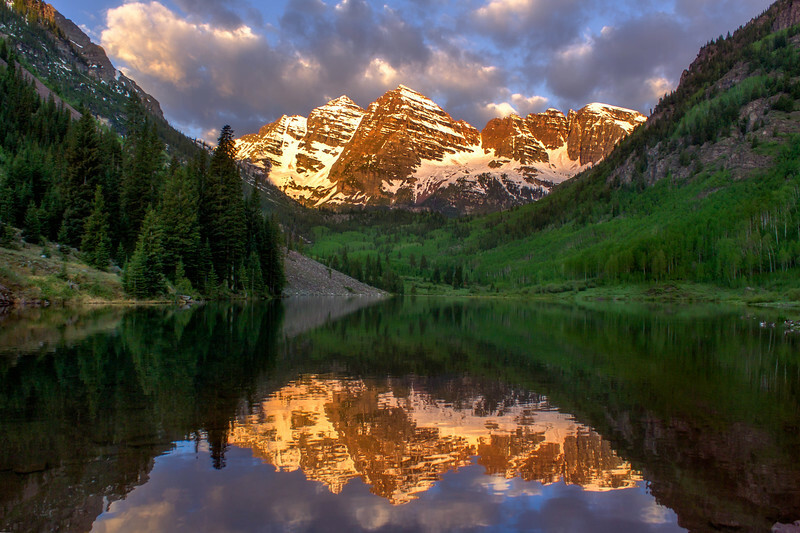 I've had a huge love of the Maroon Bells and the outdoors ever since. I decided to return here for a quick trip on my days off, but unfortunately my girlfriend or friends couldn't come with, so it became a solo trip. After work I drove to Glenwood Springs which is about an hour away from the Maroon Bells. I had some time before it got dark so I decided to hike to hanging Lake. 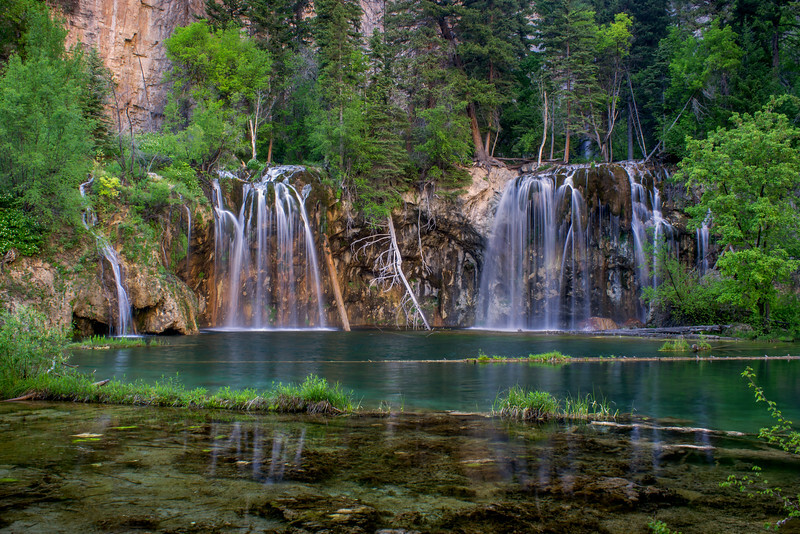 Hanging Lake is a popular trail in Colorado that I've done once before, but I wanted to photograph it this time and capture an image of the beautiful and unique waterfall. As tradition, I slept in the back of my car in the parking lot of a Walmart. It was certainly challenging to sleep as I was excited for the next day and because I knew it was going to be an early start. I had been reading articles and watching tutorials on YouTube of how to take pictures of the Milky Way and wanted to give it a shot. Once 3:00 AM arrived and my alarm went off I was surprisingly eager to awaken and head off toward the Bells. I got there super early in the morning while everything was still pitch black out except the stars, which were shining brighter than I ever thought they could. At the time I didn't have a headlamp so I was using the flashlight from my cell phone to light the way. Fortunately, Maroon lake is only about 100 yards from the parking lot and was super easy to find. Somehow though I still managed to head off in the wrong direction. I took the wrong path that ended up in a trail through some trees and it took me slipping and falling in some snow and mud to realize that this was certainly not the right path. I headed back toward the parking lot and found the actual path that seemed pretty obvious. I made it to the lake and set up my tripod to take pictures of the Milky Way as it lined up above Maroon Peak. It was my first time taking pictures of the stars so it undoubtedly took some time to get the settings correct and focus right. Once I had everything the way I wanted I pressed the shutter and took a 20 second exposure of the stars. 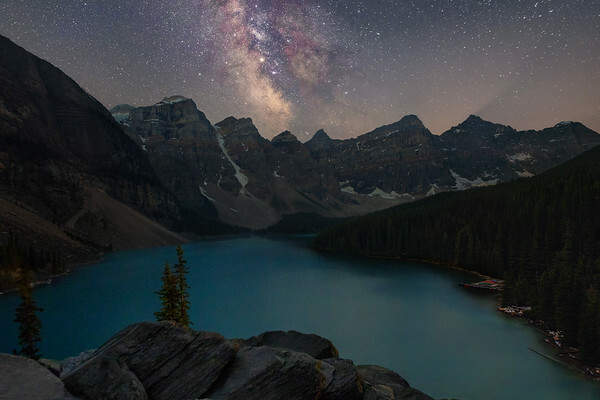 My eagerness to see how the picture turned out was dulled once I looked at the screen and noticed that a cloud had moved in above the peaks and ruined the view of the Milky Way. I was disappointed but I still felt like it was a nice picture and an even better learning experience. I snapped a few more pictures and messed with the settings while waiting for the sunrise. At around 5:30am the sun finally started to rise. As light began filling the valley I was able to see more clearly the beauty that was all around me. It was truly a magnificent sight to see. The warm light from the sun finally hit the magnificent and mighty peaks and the soft clouds that were behind it, lighting up the sky in beautiful tones of pink and orange. It was a calm day with zero wind that made everything feel as though time had slowed down or stopped. I had always heard and experienced first hand that the Maroon Bells are always crowded and lined with people ready to take pictures. I must have gotten lucky that day as I had the entire lake to myself. As the sunlight was slowly moving down the peaks of the mountains, I heard some rustling behind me. I turned around and saw about 4 or 5 deer hopping along the valley, without ever noticing I was there. I watched them and appreciated these beautiful animals that were surrounded by the beautiful landscape. In one of the most beautiful and breathtaking spots in the world, I had the whole place to myself except a pack of deer. It was a magical experience and one of my greatest memories of photography. It was almost surreal. I continued to take a couple pictures here and there of the incredible sunrise, just soaking in the beauty of this place. Finally, somebody else showed up. They walked up to the lake sat down a few feet away from me and sat down. We didn't say a word to each other just both enjoyed the view and created our own memories. I packed up my stuff and headed on a short hike to Crater Lake. It didn't take long to hike to the lake and it offered similar views to Maroon Lake but was just as magnificent. I stopped for a little to enjoy the view but decided to take only a couple pictures before heading back. I made it to my car shortly there after, ready to head on to my next adventure. 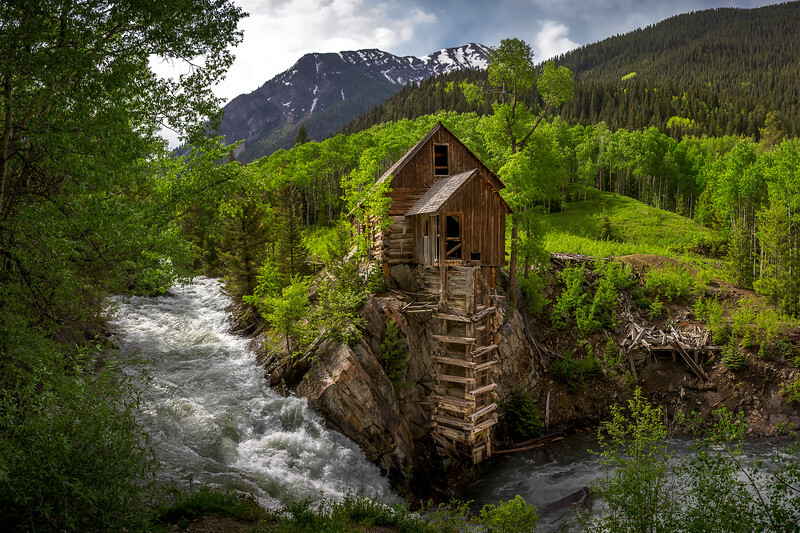 I had seen hundreds of pictures of this mysterious and beautiful abandoned mill before, and when I found out it was in Colorado and only a short distance from Aspen I decided that I had to go. So I drove about two hours from the Maroon Bells to the town of Marble, Colorado. While there is actually a road to the Crystal Mill, I had read online that it should only be attempted if you have a 4x4 vehicle so I decided not to risk it and just hike the five miles to the Mill. The hike certainly wasn't bad and I really enjoyed it as you hike along the river with many beautiful views of the magnificent mountains of the White River National Forest all around. It was a beautiful hike with a very rewarding view at the end. When I first arrived at the mill I was stunned. It was so much bigger than I expected from the pictures I saw of it. It was so cool to see, knowing that this structure was built so long ago, and wondering the history behind it. It felt as though I had traveled through time. It was early summer and the water in the Crystal River was raging hard which made the falls appear even more mighty. It was a beautiful sight to see. I wanted to continue on toward the abandoned ghost town of Crystal, but there were ominous clouds in the distance and since I was hiking alone I was overly cautious to return before getting caught in a nasty storm. I hiked back and it started to rain a little bit but never anything too serious. I made it back to the car and before i headed home to end this magnificent adventure I decided to stop in Marble for something to eat. Marble, Colorado is an awesome little town tucked away in the mountains that is actually half a ghost town, with many abandoned buildings. It has such a cool atmosphere and I love it. I stopped to eat some of my favorite food, Barbecue at Slow Grooving BBQ. I believe its the only restaurant in town but it was delicious, especially after a long day hiking and i certainly recommend it. It was the perfect way to end a magical trip. Looking back at the pictures, i'm not as pleased with them as I once was. When I first shot these images I thought they were amazing, but now I see some major errors and would love to retake them. I think that shows how much I have improved, and I wonder if in two years I'll think the same about the pictures that i'm taking now. Nonetheless the memories I made have not faded one bit.